Isaac Seaver (1823-1901), my second great-grandfather, is the ancestor I most admire. Isaac grew up in Westminster, Mass, and his father, Benjamin, died when he was almost two years old. He married Juliet Glazier, but she died in 1847 in childbirth, leaving one child. Isaac married Lucretia Smith in 1851 and they had four children. 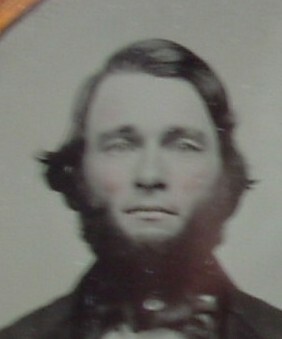 Isaac was a blacksmith, enlisted in the Massachusetts Volunteers in 1864 and served during the Civil War. Lucretia died in 1884, and Isaac married Alvina Lewis in 1888. He died in Leominster, Mass. in 1901. Isaac overcame many life challenges, persevered and was a successful man.